Why not just use MARPAT? by Guy Cramer, President/CEO of HyperStealth Biotechnology Corp.
Part 6: U.S. Army Phase IV Baseline Patterns, will the Army have to settle with these? (Vancouver, B.C. June 4, 2013) In January 2012, four companies and one U.S. Government pattern were announced for the down select in the U.S. Army’s Phase IV Camouflage Improvement Effort. (the US4CES patterns I developed for ADS Inc. is one of the four down selected). The winner is expected to be announced June 14th (U.S. Army's Birthday). In Part 1, I explained why the U.S. Army was conducting this Camouflage Improvement Effort. In Part 2, I explained why the Government dropped their Scorpion submission from the competition with some focus on the Transitional baseline pattern - Multicam. 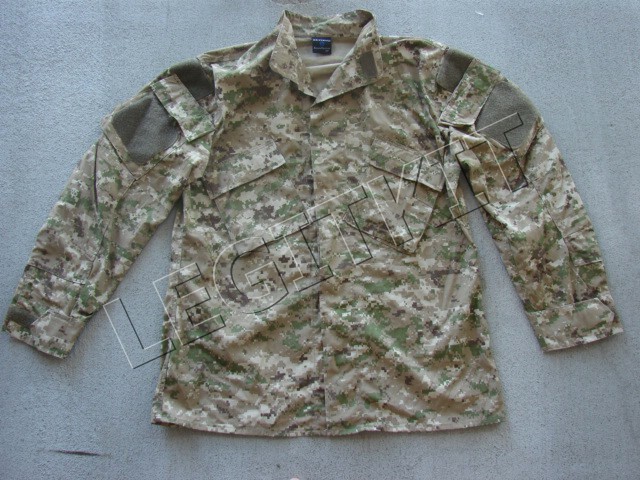 In Part 3, I want to explain how the U.S. Navy ground camouflage patterns: AOR1 and AOR2, became the Desert and Woodland baseline patterns for the U.S. Army testing and why the Army is looking for something better as well as answering the question being asked by many: Why not just use MARPAT? In 2009 the Army conducted another study where Urban was removed and was replaced with Mountain and Rocky Desert environments (2). This has now been further developed into "transitional" environments and has become the third environment to match within the Phase IV Army program. 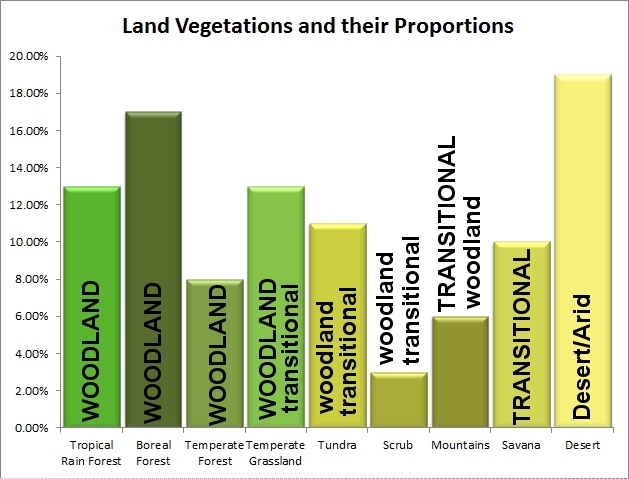 In the table below I show the percentage of land vegetation and their proportions as they relate to Phase IV. I have identified which pattern would likely work in which environment, Capitals indicate dominant pattern for that specific vegetation, small letters indicates potential functional pattern coloration but not dominant. 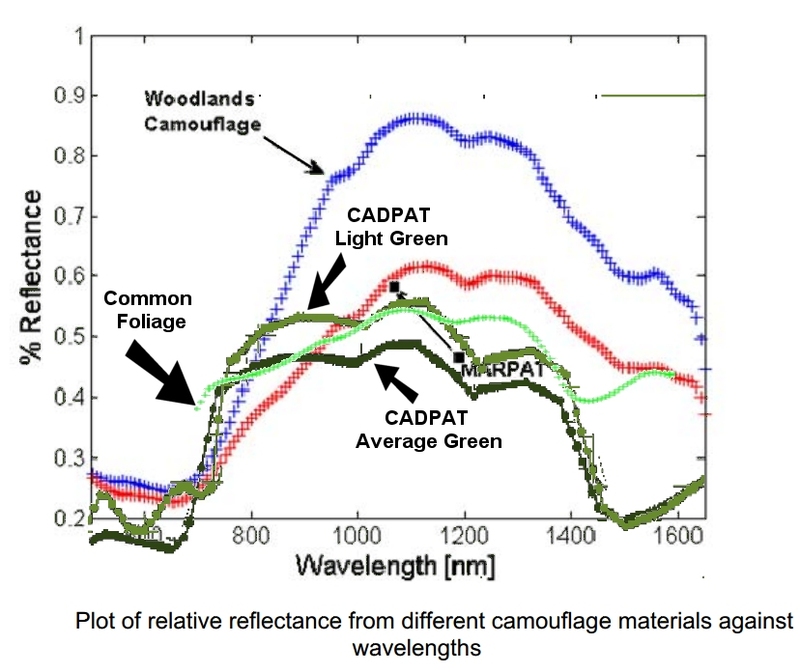 While recent conflicts have occurred in Desert and Mountains/Transitional environments this should not preclude 51% of the Land Vegetation with a potential Woodland or Jungle conflict, thus it was decided by the U.S. Army from the previous studies that they required pattern colorations specific to these three key environments, as transitional patterns were not nearly as effective in Woodland/Jungle or Sandy Desert as specific colorations for those environments. 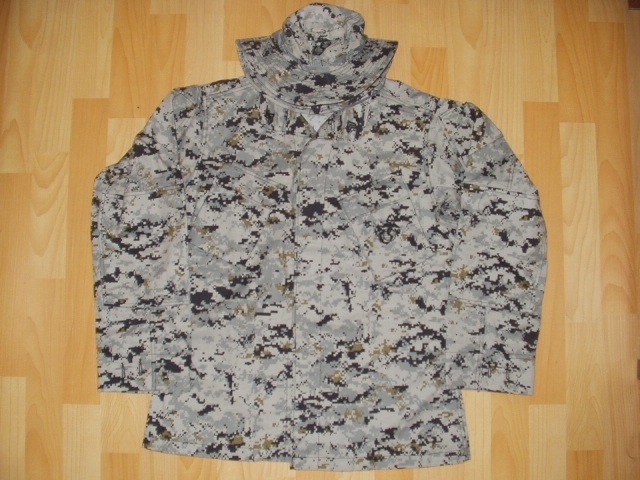 The MARPAT Urban Pattern was never issued. 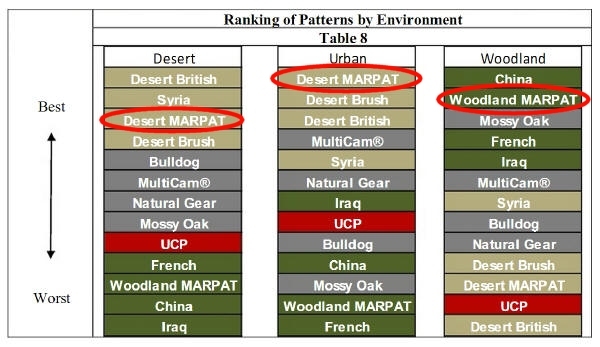 Desert MARPAT in the U.S. Army Urban testing came out #1 so this could be why the USMC did not move forward with a specific Urban pattern. 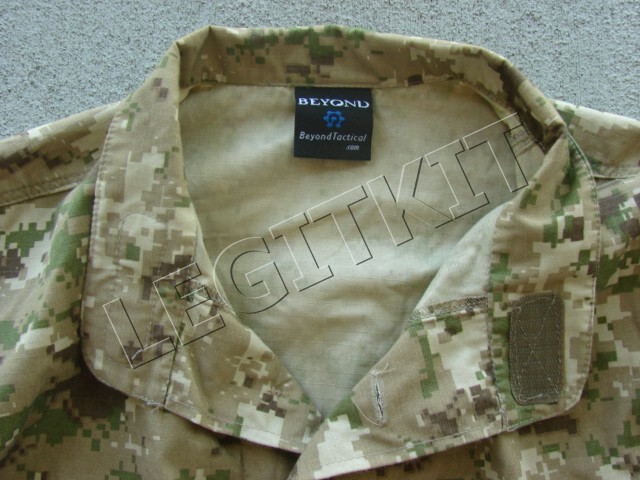 Coyote Brown (sometime referred to as Coyote Tan) is a critical color used for OCIE/PPE (vests and gear) with the USMC MARPAT Woodland and MARPAT Desert - the color was found to work in both environments. 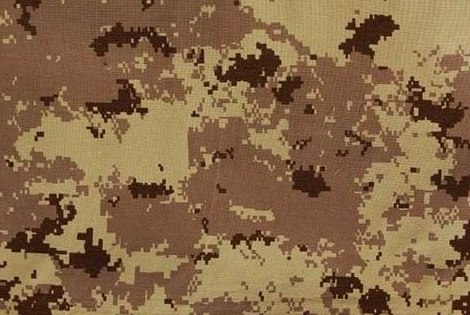 The Coyote (golden tan) color covers nearly 50% of the MARPAT Woodland pattern, while in the Desert Pattern they use a slightly different "Light Coyote" color in 25% of the pattern - utilizing a different screen layer as they both are identical patterns (Light Coyote is the third darkest color in the Desert MARPAT below). 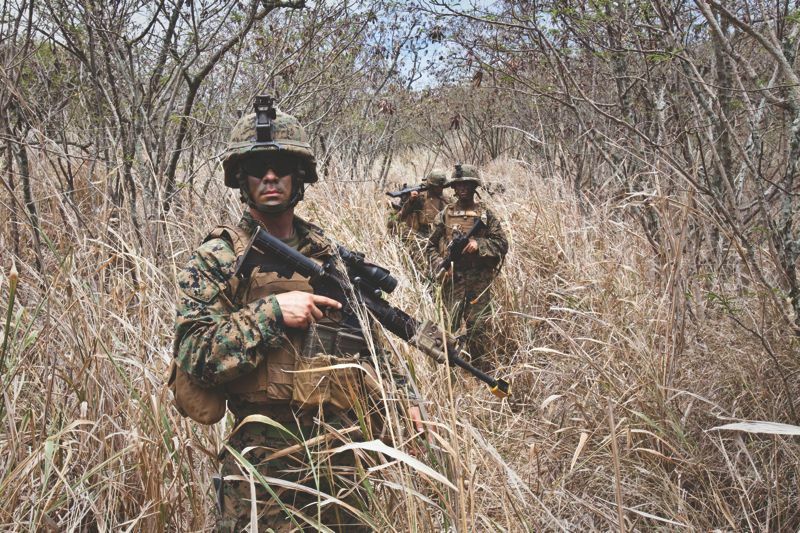 Where did MARPAT Desert coloration come from? Canada! 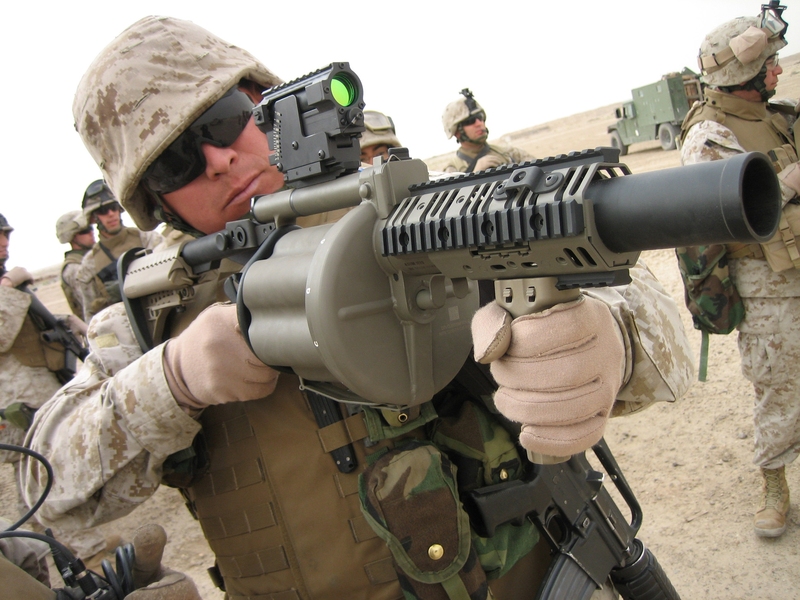 In Part 1, I discussed that the USMC asked Canada for permission to use CADPAT TW (Temperate Woodland) after the Canadian military trials and NATO trials confirmed the effectiveness (CADPAT TW was officially designated for Canadian Military in 1997) and the Canadian's agreed to the USMC request in the early 2000's, but the USMC had to change the colors which they did for their MARAT woodland. The Canadians had also trialed this desert variation using the same CADPAT pattern from TW and after the trials the Canadians decided instead to go a different route on their CADPAT AR (Arid Regions) based on their studies that showed the pattern in the desert needed to be much more open than the original pattern. Below are the two Canadian Desert patterns, the one on the left is the trial pattern they rejected and the one on the right CADPAT Arid Regions (using a different pattern and colors) is what they issued to their soldiers. So the Canadians obviously found that a more open pattern increased the effectiveness in a desert allowing for concealment at longer distances than their trial pattern. The USMC had permission to use the CADPAT pattern from the Canadian Government and they changed the colors from what the Canadians were using on their woodland and initially the USMC had tested a different coloration for their Desert. 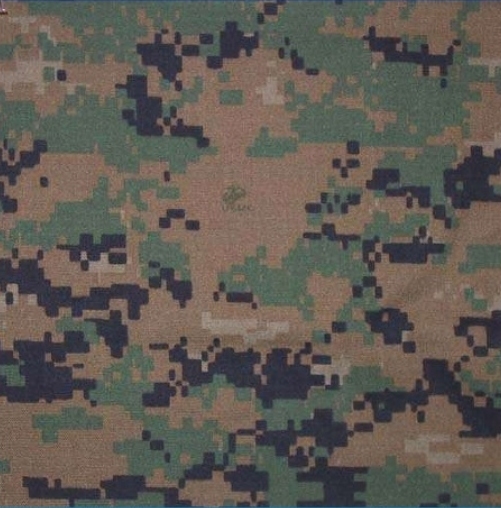 Note the Coyote color used in the USMC Woodland is the same as this USMC MARPAT Desert trial pattern. 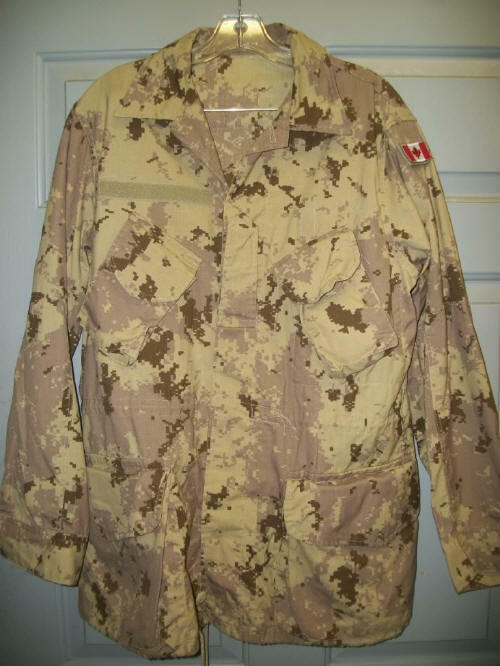 Like the Canadians, the USMC decided to change the Desert coloration to something very very similar to the initial Canadian CADPAT Trial Pattern, using the same colors in the same layers as the Canadians did. 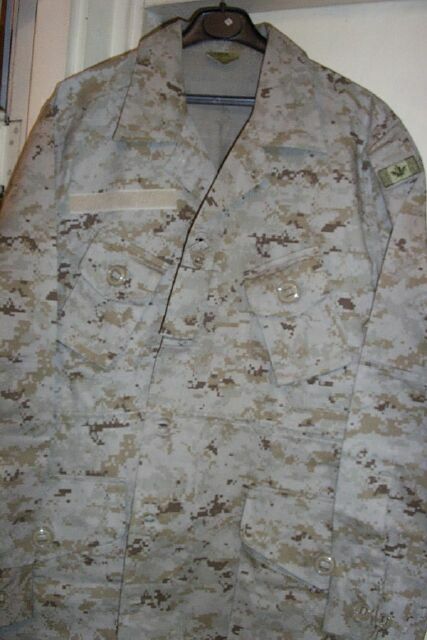 Once the Canadians rejected their original CADPAT Desert pattern and coloration - the USMC was approved to use it. 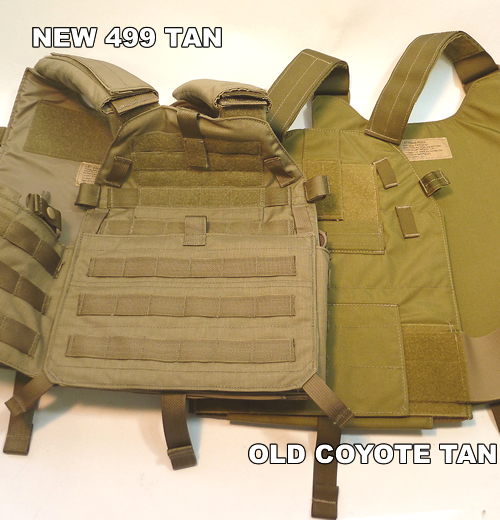 The Green/Grey from the USMC trial desert MARPAT was modified into a Red/Brown and the Coyote color was lightened to a new "Light Coyote"
Which brings us to Coyote Brown issues with the USMC. Both photos below show USMC Desert MARPAT, wearing vests which are colored Coyote Brown (known also as Coyote Brown 498), they use the same vests for their Woodland MARPAT and found this was a good color to use in both Woodland and Desert. 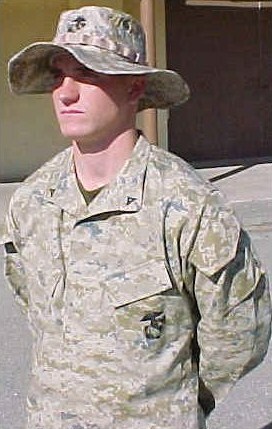 This type of gear (PPE = Personal Protective Equipment) is expensive to produce, so while a matching camouflage PPE (vests) may provide better concealment, the Marines decided to use a solid color instead. 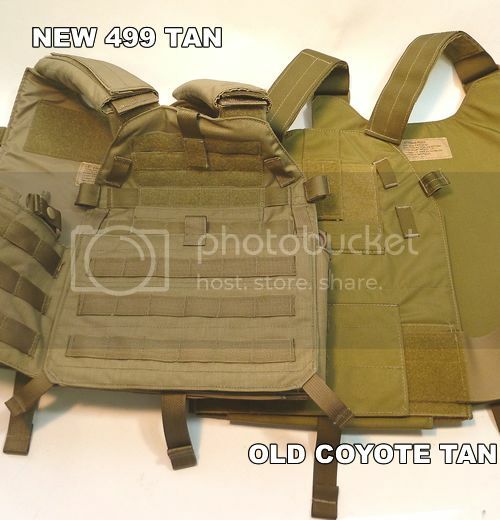 Is Coyote the optimal color for PPE (Vests and other gear)? 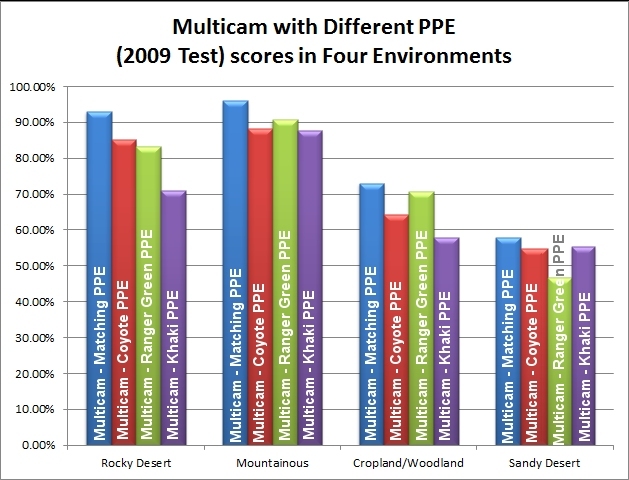 Lets look at the U.S. Army (Natick) results of four different combinations of PPE with Multicam in the four environments (note none of the Multicam combinations in the Woodland or Desert placed in the top 10 of either environments). In all environments the Matching PPE was the top but we can see that Coyote PPE would not be a bad second choice. OC Tactical sent me the following image below of fabric they received from this run. 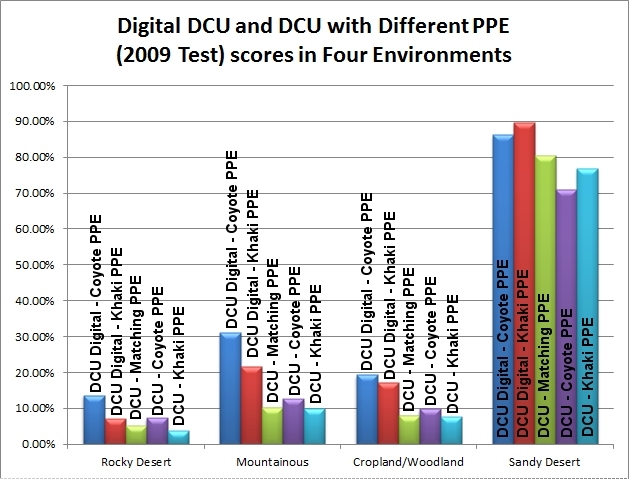 Back to the 2009 Natick results: with both Digital DCU (pixelated three color desert) and standard (non-pixelated) DCU, we find that Coyote is slightly better except in desert where Khaki was slightly better in both cases. Typically the best PPE would be a matching pattern and coloration. In Part 1, I discussed why DCU and DCU Digital (as good as they in the Desert in the Visual Spectrum) cannot be used as they are too bright within the NIR spectrum. woodland environments. Near infrared reflectance requirements were governed by this need. in contrast to its surroundings when viewed through NVGs (Night Vision Goggles). 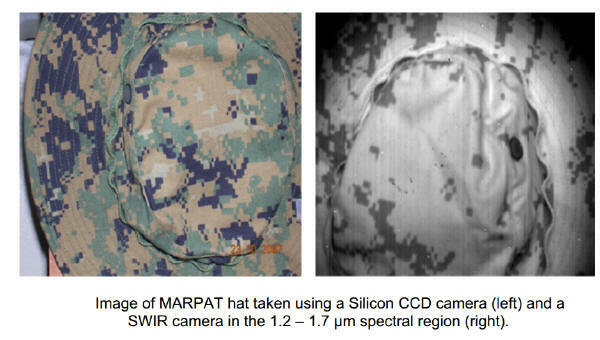 It is not just the Coyote OCIE/PPE that is an issue in the NIR (Near Infrared Spectrum) with the USMC but the MARPAT Woodland pattern itself. The Charts below show separately MARPAT Woodland, Multicam and UCP (Universal Camouflage Pattern) in the Visual and NIR Spectrums. 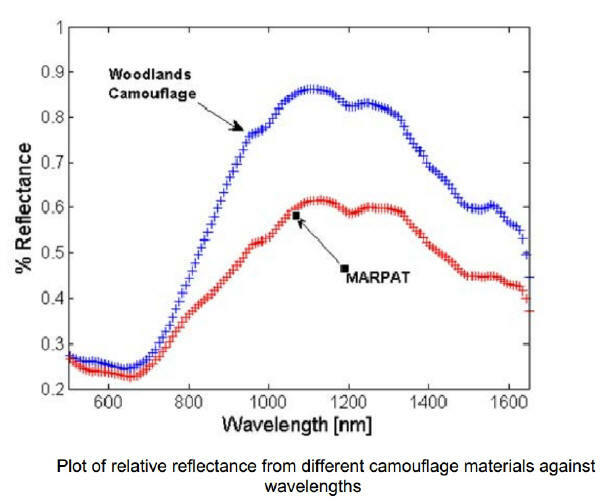 MARPAT Woodland pattern in the Near Infrared (740nm-900nm) is brighter than the background as can be seen in this chart below, this means that a Marine wearing Woodland MARPAT will be brighter than the background when viewed through Night Vision Goggles (NVG's) which operate in this part of the spectrum. When we place all three patterns together and adjust for scale differences we see that MARPAT Woodland is much darker in the Visual Spectrum but both Multicam and UCP are darker than MARPAT in the NIR Spectrum with both Multicam and UCP coming close to a match in the background reflectance based on the MARPAT Woodland and Background comparison Chart above. Below is an image of a vest in Tan 499 - used by the Army with OEF (Multicam) camouflage uniforms and the other vest has Coyote Brown (Coyote Tan) used by the USMC with MARPAT. 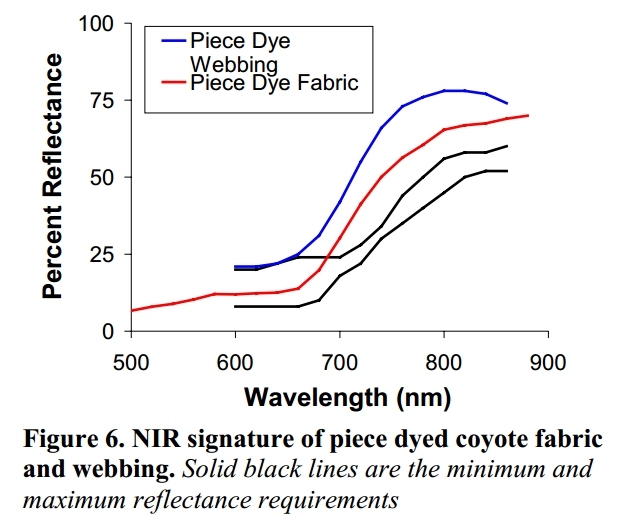 In the Visual Spectrum the Coyote probably has a slight advantage, in the NIR spectrum the Tan 499 would have the advantage. 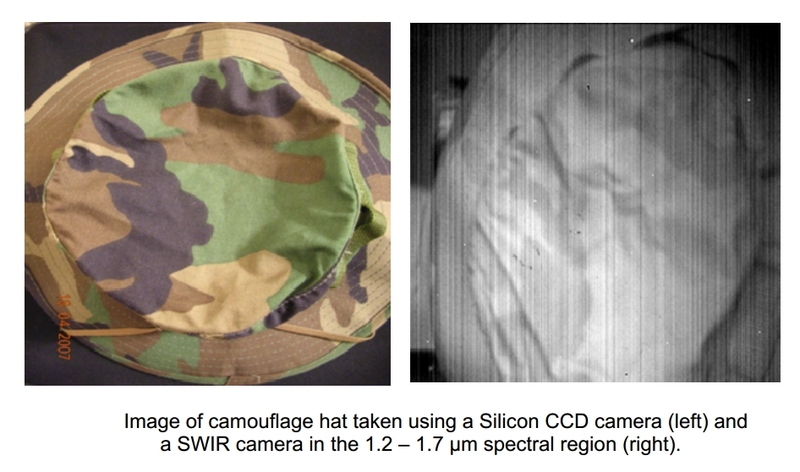 SWIR is the higher frequency beyond the NIR and can locate camouflage much easier than NIR as it is much more difficult to match camouflage to the background reflectance in the SWIR. Until recently this technology was difficult to obtain by adversaries. In the 2006 conflict between Israel and Lebanon, Israeli Special Forces Missions were disrupted because the other side possessed NVG's (in the NIR spectrum). NVG's for the NIR is no longer difficult to obtain and SWIR NVGs are also becoming easier for adversaries to acquire. I've combined the two charts above into the Chart below to account for the difference in scale. 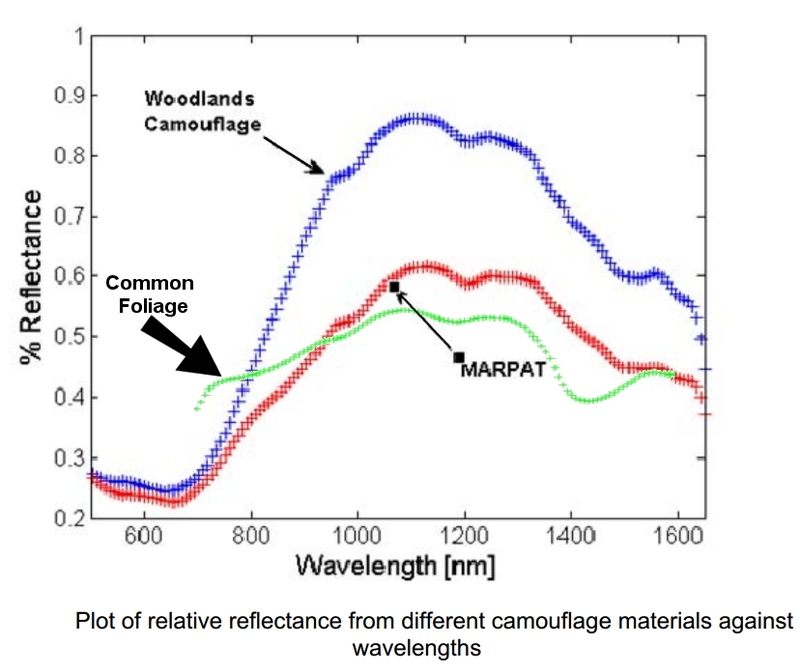 Blue is Woodlands (BDU) Camouflage, Red is MARPAT Woodland and Green is Common Foliage. The is the Goldilocks issue: Anything to far above the green line is too bright and anything to far below is too dark. 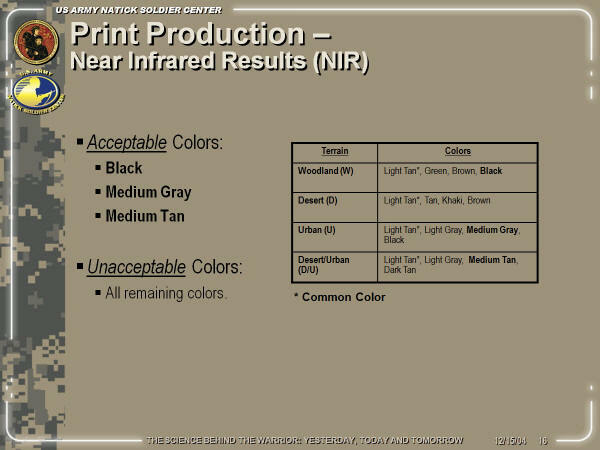 As shown in the chart below we see that Woodlands (BDU) camouflage becomes not only to bright in SWIR (below) but looses any contrast between colors. It becomes obvious that Woodland BDU pattern is not designed for SWIR, MARPAT Woodland does better, however, it is much brighter than the background further down the spectrum than the Woodlands (BDU), so it will work with some NIR night vision equipment but loses that effectiveness in the SWIR where colors begin to merge and no longer matches the darker background of common foliage. 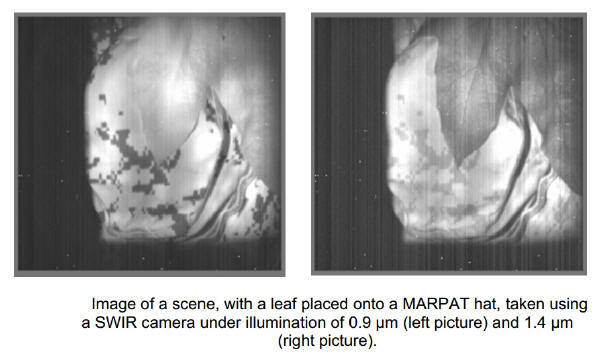 You can see below left 0.9 µm (900 nm) the brightness of the overall pattern contrast matches the leaf (this corresponds with the chart above at the 900 nm mark for MARPAT) However at 1.4 µm (1400 nm) (below right) the brightness of the leaf drops but the MARPAT does not as it reflects and stands out from the background, this corresponds with the 1400 nm mark for MARPAT in the chart above. 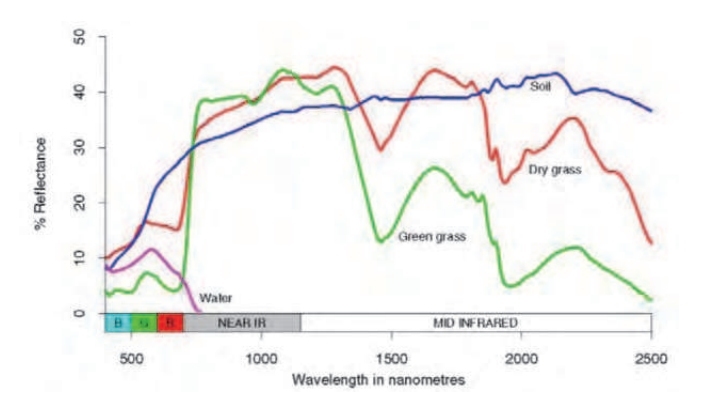 The farther down in the Spectrum the larger the separation in color is required to match the environment, as you can see from the Chart below, color separation is critical in the SWIR portion of the spectrum looking at soil and grass (Dry and Green) and their corresponding spectral reflection. 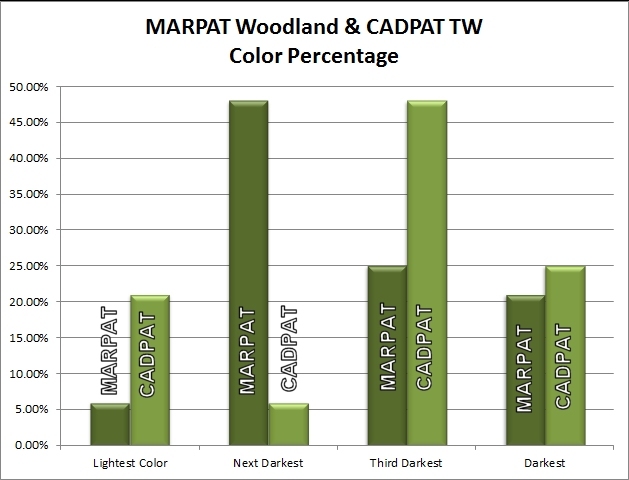 The Canadians with CADPAT TW, looking at the both the visual and NIR decided on a using a higher percentage of black (25%) and relied on their darker green "Average Green" for the dominant (48%) of the pattern. 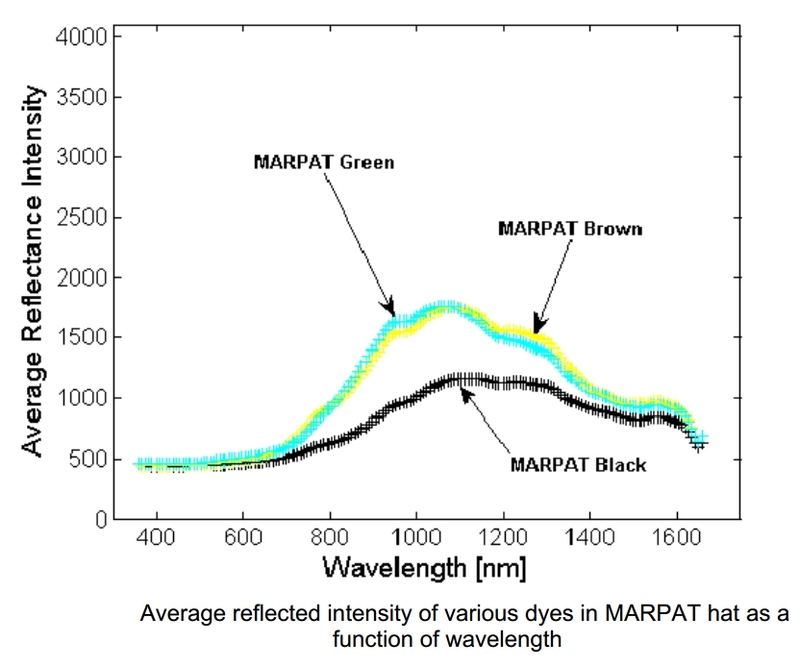 This higher percentage of darker colors will bring down their IR reflectance when compared with the MARPAT Woodland. (Note the exact same print screens are used for both patterns). In the Chart below, I've superimposed the CADPAT TW dominant (48% of pattern) color "Average Green" and the lightest color "Light Green" (21% of the pattern) and charted their Wavelength Reflection over top of the previous chart showing that the CADPAT is a better match to common foliage the NIR spectrum 0.7 µm (700 nm) - 1.1 µm (1100 nm) than MARPAT Woodland. However we see convergence of these two CADPAT TW colors at around 1500 nm. 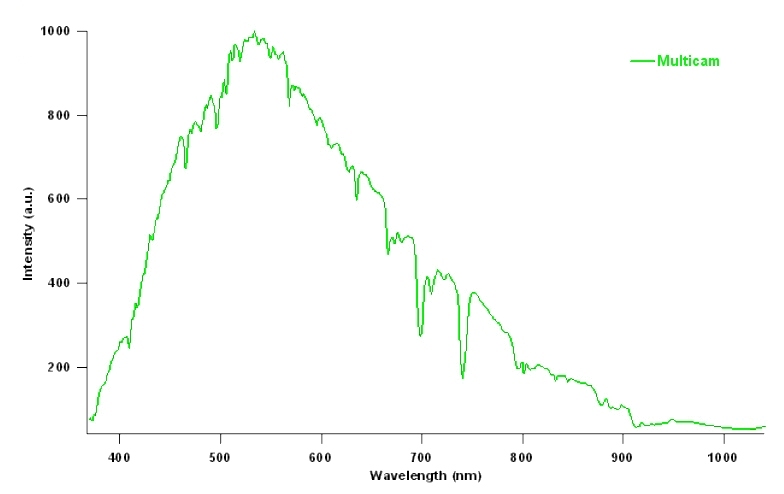 In the SWIR spectrum 1.2 µm (1200 nm) - 1.7 µm (1700 nm) CADPAT TW becomes to dark and the two greens begin to converge into a similar reflected level. For camouflage you want to blend in with the colored background and in the Visual and in the NIR and SWIR you want the reflection to match the background and you also want to retain the separation of colors to disrupt the human shape or target. CADPAT was developed for Visual and NIR which is where it excels. CADPAT was not designed to work in the SWIR region. 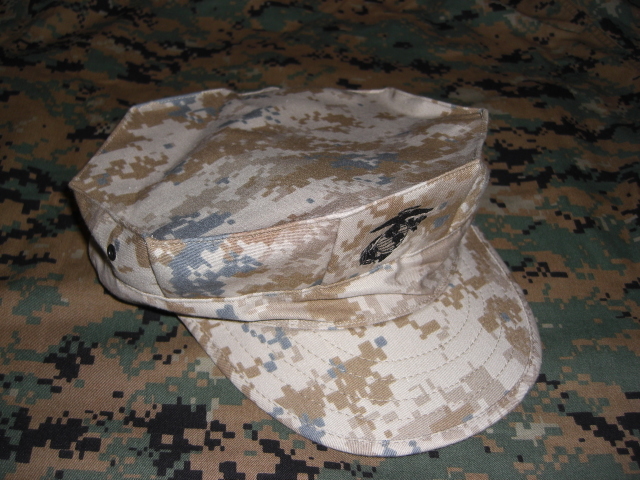 The MARPAT pattern (as shown earlier) does the opposite of CADPAT and becomes to bright in the SWIR. 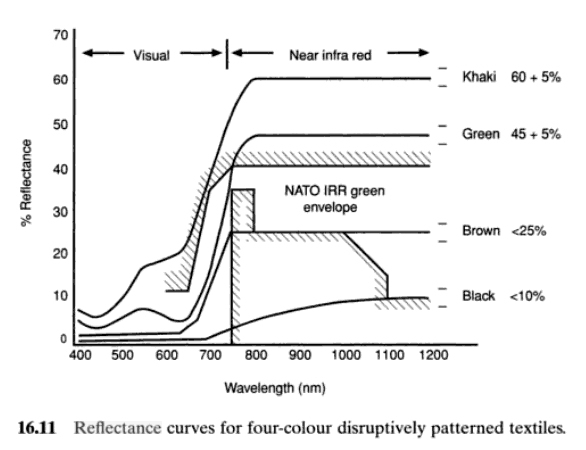 So here is where we see a critical aspect to camouflage emerge in the late 1990's, how does it work in Night Vision, as more countries have access to night vision, you do not want to give away your position because you glow. 197. NIR. 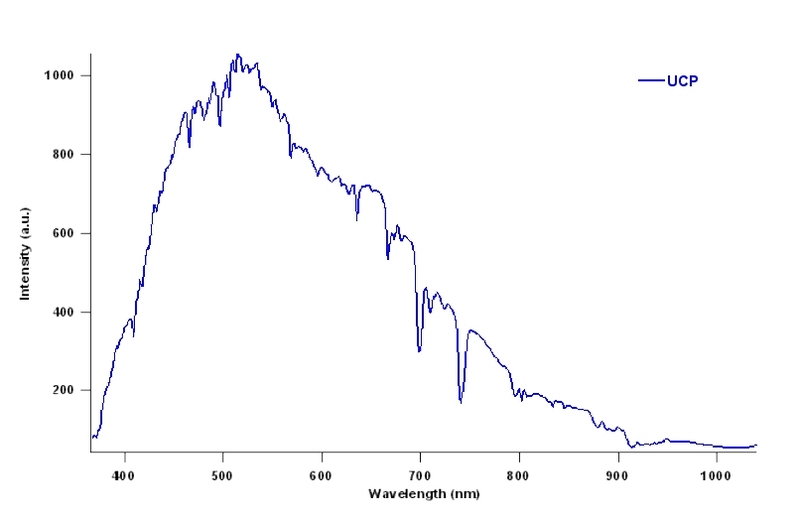 All modern militaries, and many other groups involved in armed conflict, are equipped with II devices (a.k.a., Night Vision Devices) that magnify the available light in the NIR portion of the spectrum (approximate wavelengths of 750 to 1,200 NM). 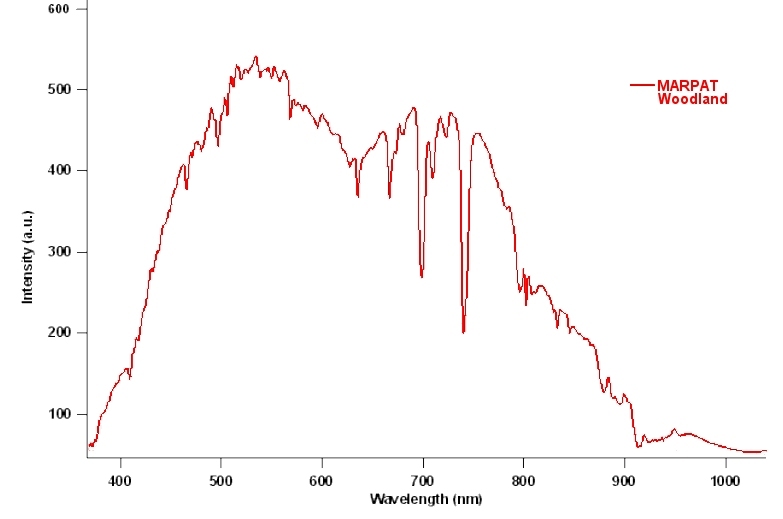 This portion of the spectrum is invisible to the unaided eye, but with the aid of a night vision device is highly useful in detecting objects in low light conditions. 198. Objects viewed through night vision devices appear as monochrome images. 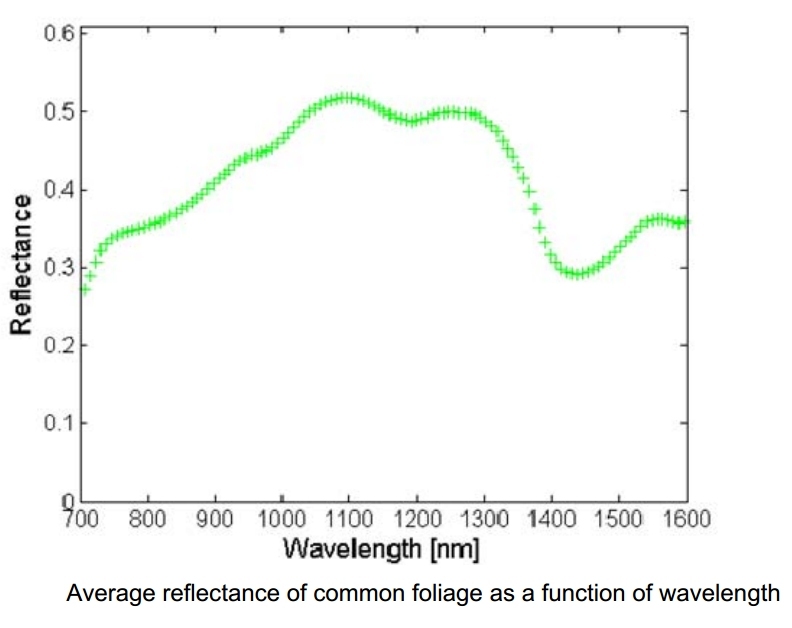 The brighter the object appears, the greater its NIR reflectivity. Thus it is important that the NIR reflectivity of any object that you seek to camouflage must be as close as possible to the NIR reflectivity of its background. 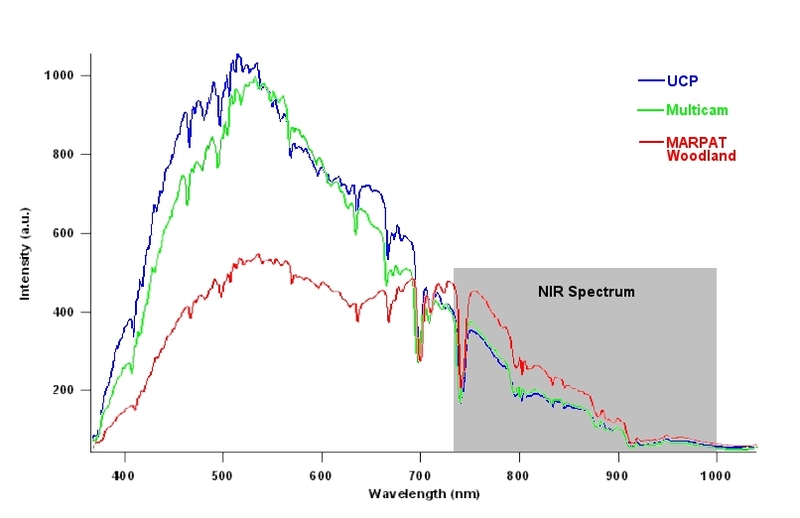 It is important to note when observing objects in the NIR part of the spectrum that the brightness of an object in the visual part of the spectrum does not necessarily mean that it will have a similar brightness in the NIR part of the spectrum. 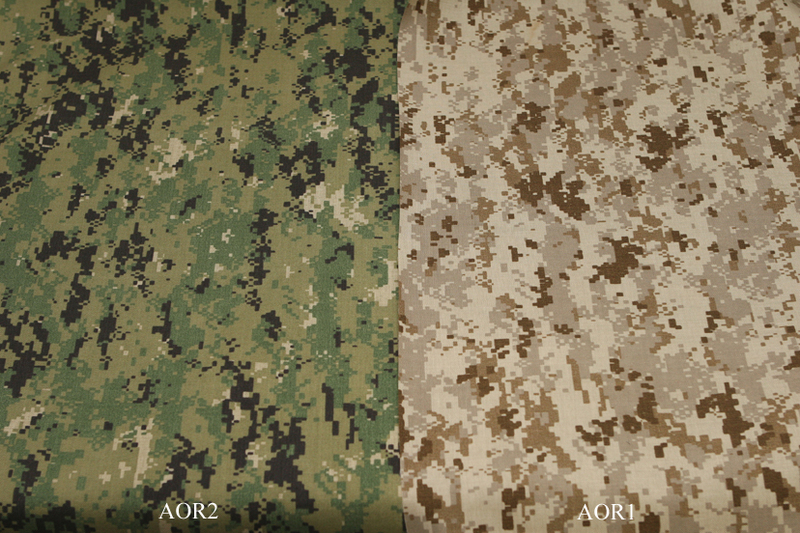 AOR1 and AOR2 are the U.S. Navy patterns used by their Ground troops and Navy SEAL teams. 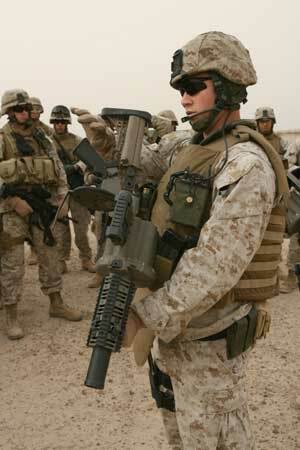 Utilizing the same screens as MARPAT/CADPAT TW/UCP, the Navy ground troops were the last group in the U.S. Forces to change from the Woodland BDU and Desert DCU camouflage and they decided to look at the MARPAT patterns and find different colors. The U.S. Navy is the owner of the USMC MARPAT patent so the Navy utilizing these patterns was not a breach to the USMC by any means. 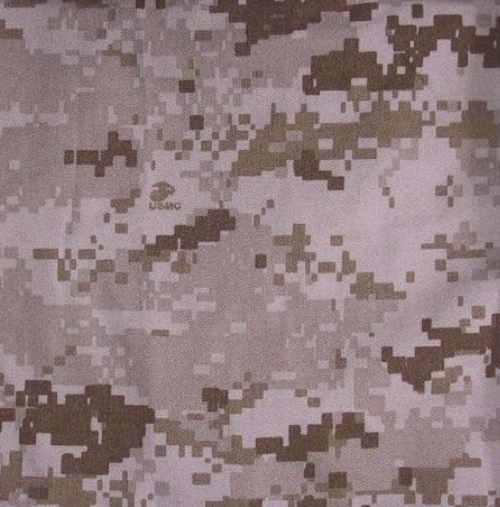 They Navy decided on two color variants; AOR1 (Desert) is very similar to Desert MARPAT, but the Navy switched the Urban Tan (very close to a Grey) to more of a sand colored tan and only slightly modified the other colors, these changes are difficult to differentiate and thus the Navy decided, when requested by the USMC, to only allow the Navy SEALs access to AOR1 as the similarities in patterns and colors may lead to confusion between Marines and Navy. 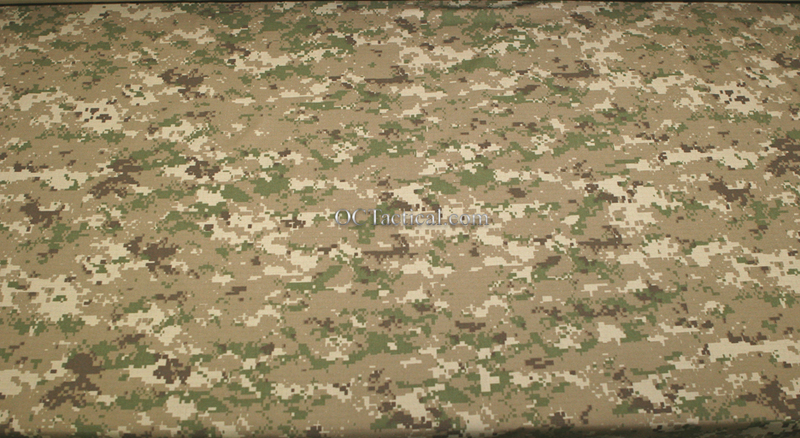 AOR2 we also based off of the MARPAT woodland coloration but with enough differences in colors (three of the AOR2 colors are brighter than Woodland MARPAT) and orientation (the pattern flows vertical - up and down on the Navy uniform, whereas MARPAT flows horizontal - left to right) that the USMC did not object to the Navy using this variation. So the Navy issued the AOR2 pattern to not only their SEAL teams but also their ground forces. 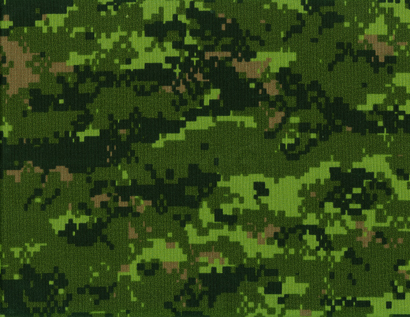 Remember the history of this pattern: CADPAT (1997) MARPAT (2001) UCP (2004) AOR1 and AOR2 (2008-2009) so the Navy had an advantage to see what had been done and how to improve upon the colors. However, with only slight color modifications there will still be issues with the NIR and SWIR with AOR1 and AOR2 two variants. So the Answer to Why not just use MARPAT? is multiple. 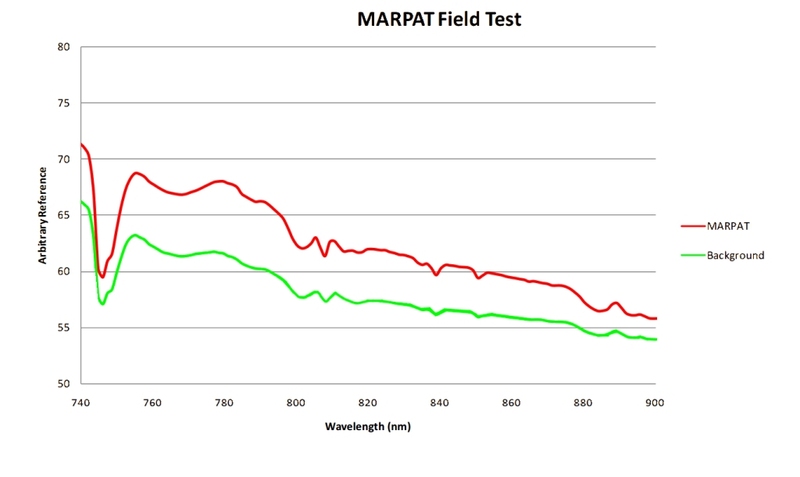 A) While very effective in the visual spectrum, there is much room for improvement in the NIR and SWIR spectrums where even the failed UCP performs better than MARPAT Woodland in the NIR. 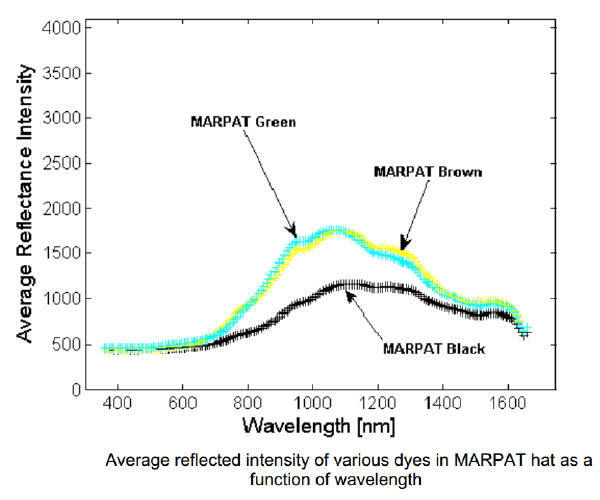 B) The Green and Coyote colors in MARPAT Woodland combine into one color with no contrast between the two into both the NIR and SWIR spectrums. C) The Canadians found an increase in the Macropattern (large Blobs) for Arid/Desert increased overall effectiveness and that a different color palette was more effective than what they used for their Desert Trial pattern (what would essentially become Desert MARPAT). As CADPAT TW was designed for both Visual and NIR, we can safely assume that CADPAT AR was also designed with both visual and NIR and our internal tests on CADPAT AR show it to be very effective within the NIR spectrum. 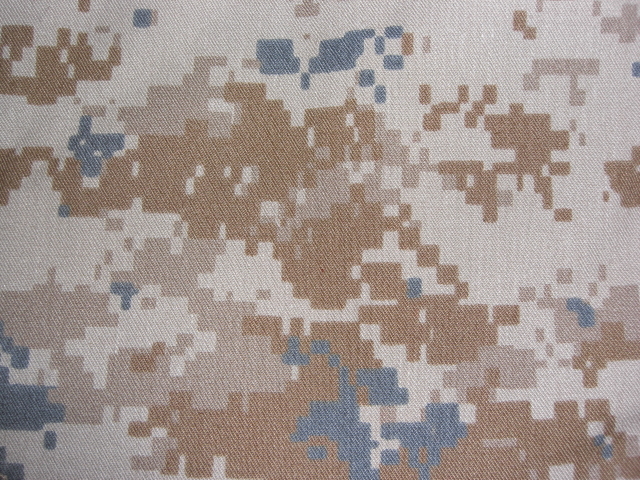 The color change with AOR1 from Desert MARPAT did adjust some of this into the CADPAT AR color range. 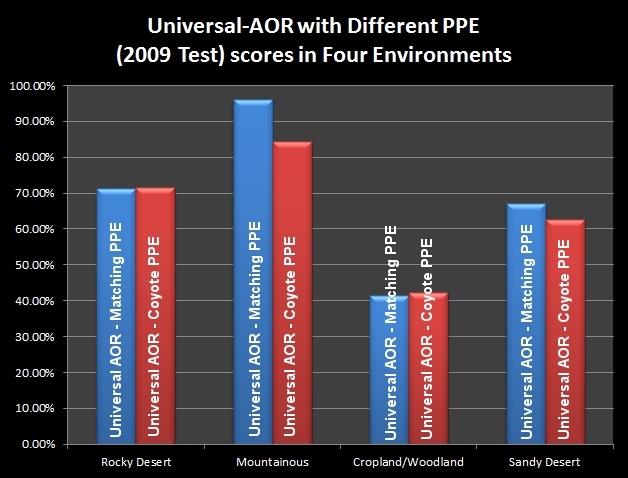 D) AOR1 and AOR2 outperformed Desert MARPAT and Woodland MARPAT in the U.S. Army's 2009 study. Then the question becomes "Why not just use AOR1 and AOR2?" E) See answers A and B regarding the NIR and SWIR issues and color separation requirement. Can't they just apply a coating the the uniform to make it match the background reflectance in the NIR and SWIR? F) This adds cost to the fabric and in some cases it works until washed, then you have a uniform that is worse in the NIR then it would have been had the NIR coating not been applied in the first place, (I won't name which country this occurred to). It is always best to keep it simple and use a set of colors (with the proper inks) which will get you close before having to turn to additives and coatings. 3) PHOTOSIMULATION CAMOUFLAGE DETECTION TEST, U.S. Army Natick Soldier Center. 17) Universal Camouflage For The Future Warrior Dugas, Anabela; Kramer, F. Matthew (15 December 2004). U.S. Army Natick Soldier Center. 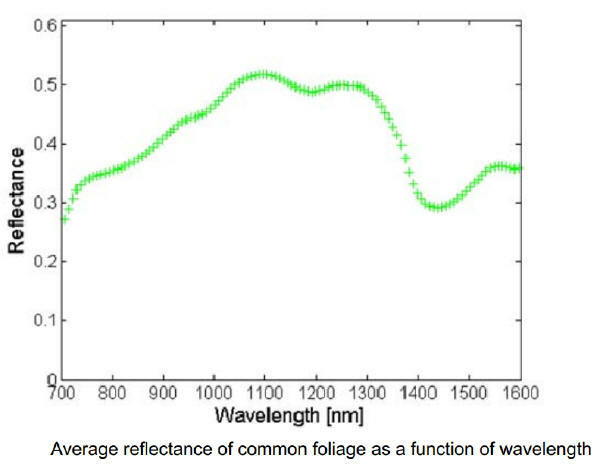 19) Haran, T.L., J.C. James, and G. Bennett, Comparison of Spectral Imaging Band Performance at Night. 2007, Georgia Institute of Technology: Atlanta, GA. This page and information © Copyright 2013, Hyperstealth, All Rights Reserved. Imaged used belong to their respective owners. 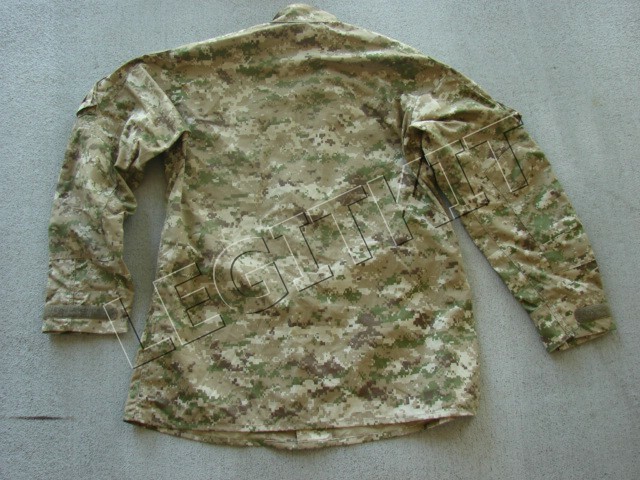 Multicam is a Trademark of Crye Precision LLC. US4CES is a Trademark of ADS Inc.
HyperStealth is a Registered Trademark of HyperStealth.